The Public Theater’s choice for this Summer’s free Shakespeare in the Park production of “Julius Caesar” will undergo more than a bit of tweaking. The cast will be dressed in present-day fashions including Caesar who looks much like President Donald Trump. Just a coincidence? Well, Caesar’s wife is played by an actress who resembles Trump’s gorgeous wife and dresses much like her. The producers made certain the depiction of the assassination was as brutal, bloody and visceral as possible. Marc Antony, who was Caesar’s right-hand man, is played by a female who reminds one more of U.S. Sen. Elizabeth Warren than a top Roman army commander. Every Summer, New York City’s Cultural Affairs Department offers plays, concerts and other activities either for free or for a small charge (donation) in the famed Central Park. 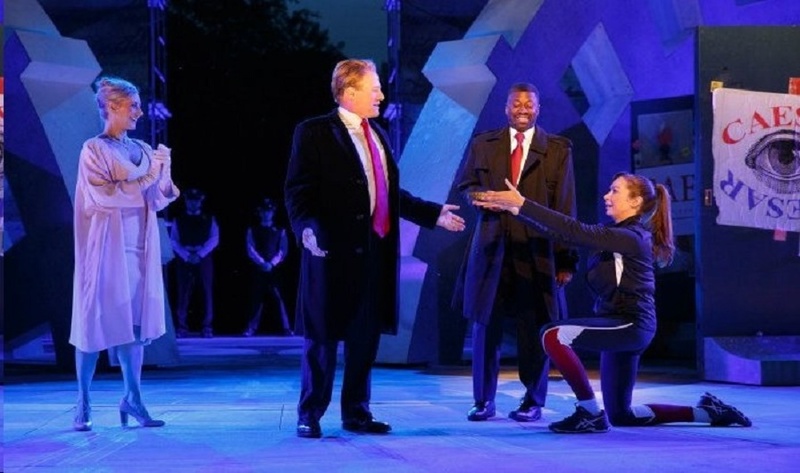 Last performed in the park 17 years ago, Shakespeare’ play tells the story of a charismatic Roman leader and the small band of officials who fear he is becoming too powerful. What a bunch of fooking idiots.